Hello everyone, and welcome to Black Friday weekend! Yes, after a month of pushing the holiday season on us, retailers can finally fully embrace it! No more Pre-Black Friday sales, like the ones Shopko has been having all month. In honor of this illustrious holiday, I would like to turn my attention to toys. The TOADY Awards are here!! This is the time of year when the public can vote for the most ridiculous and offensive toys. Although each is egregious in its own way, one really stood out to me from a gender and work standpoint. The Real ToothFairies . Before I get into the issues I have with this product, I want to note 2 things. 1. It is odd to me that a website is considered a toy. I am sure there will be physical products to go with it soon enough though! 2. The TOADY is for the upgrade, not the website (which is free to join), but I will be speaking more broadly about the website. Let’s talk jobs. What are the jobs of the fairies? Twinkle is the lead fairy. Even though she is never seen in clothes that would be practical on the court, we are told that she loves volleyball. 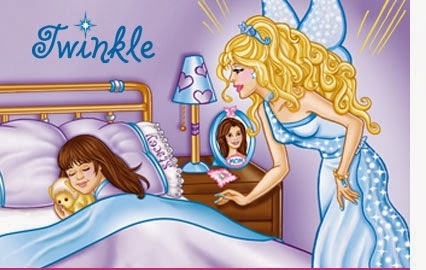 Twinkle’s job is teaching Real Tooth Fairies 101. Which somehow pays enough to have a penthouse. I would like to get a teaching gig like that. She also likes math, which mostly means counting Kindness Points. Some of them list being a fairy as their jobs, but some list other jobs as well, like veterinarian and architect. It is never explained how one gets paid as a fairy. They must make a lot of money somehow, because they live in penthouses and love to shop! Maybe you are thinking the same thing I did: what about boys? They lose teeth too. Over and over in the write ups and the faqs, girls are mentioned, but never boys. Well, have no fear! Boys are getting a story all their own! The company just went ahead and threw out the real tooth fairy story, which might make parents angry, since the company’s made up version is claiming veracity and authenticity. Not only did they make up back stories and marketing opportunities, they decided that boys aren’t really visited by the tooth fairy at all! No, instead, boys are visited by Time Traveling Elffs [sic]. “Now every boy can have an action-packed lost tooth experience!” Apparently that is what is missing in boys’ lives. Look, you can see them as action heroes! Because tooth fairying is such dangerous work? And of course, no girl wants adventure! Oh no, she wants gardens and niceness. Boys get to go back in time to historical events and save history! Girls? Well, girls can fly a unicorn (which is cool, but first we have to give unicorn and girl a makeover! ), or walk around. There are other games like makeovers (yes, really) for fairy and girl, but that is only in the upgrade package. I spied a STEM Activity. Oh! Good, at least they are promoting STEM for girls. Maybe it is a fun science game. Maybe we are going to learn about what teeth are made of! Oh, no wait. It is just a download. A worksheet on pdf. Hm, I think girls would be much more engaged with a computer game, but let’s see. OK, basically it is adding very simple numbers with the help of a calendar that is on the page. One of the fairies is going home in 6 days, we are told what day it is, and asked what date the fairy will return home. Wow, that isn’t really higher level STEM,nor is it very engaging. Kids get stuff like that on the back of cereal boxes. Let’s poke around some more. Well, here is a potion game. Potions might be chemistry. Nope, need the $59 annual membership to unlock it. This “STEM friendly” website teaches girls that the fairies have a Dream Tree where they put the lost teeth. And that the tooth fairy can see girls dreams through their teeth. And the website makes up words too. Even though there is a push for good virtues, so much of the site is wrapped up in shopping. We also learn that real fairies are thin and beautiful, usually with long hair and impractical clothing. Each fairy is paired with an ethnically-matched Elff. When we meet the fairy, we see her room, and in each room we see a table. On the table is a magazine (very Cosmo-like) with the fairy on the cover. Right above her magazine is a picture of her beau. So, we are in a girl-world and the men are always pictured above the fairies. We also learn that ugly people cannot really be fairies, but only because they don’t try. 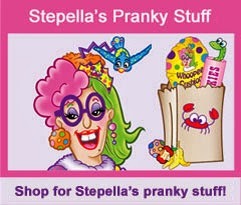 That is Stepella. She wants to be a fairy, but she never gives effort, As you can see, she is a mess. Of course, the fairies are always nice to her, but she just can’t pull it together. I think the idea has potential, but in its current form, this is a pretty bad gift for girls. It privileges magic over science, conflates beauty with integrity, gives boys more adventures than girls, and pushes a superwoman ethos, as they each have two or more jobs, on top of their tooth fairy gig! Magic is important, but there are just too many things wrong with this. I think I would be less bothered if they didn’t try to throw STEM in there as well, and only marketed it as fluff. 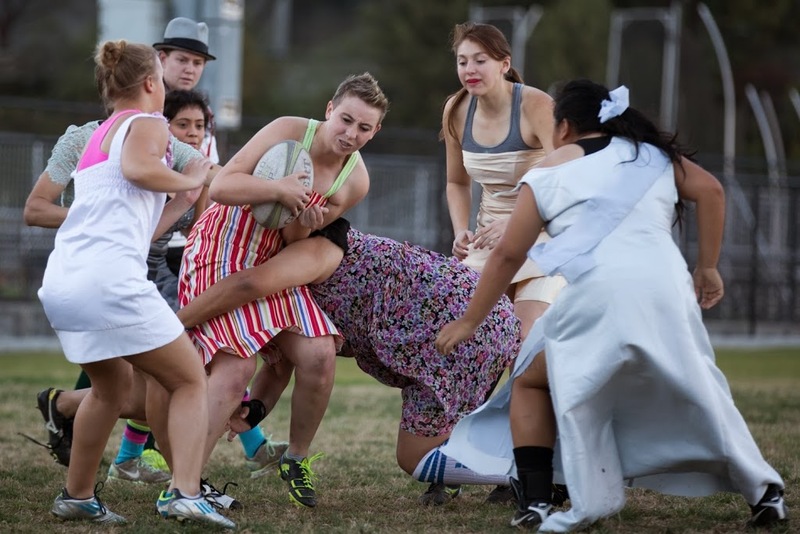 Also, the gendering of the game really bothers me. Finally, its push to get kids to spend (both real money and fairy currencies) is problematic. Previous post: Analysis: DJ The Octonauts Next post: How can men opt out so that women can opt in?